Not being able to fix it. The kid in my most recent book Eye to Eye - take a look and you'll know why! Back to 1989. I had a chance to visit Berlin before the wall came down and missed it. See, it IS possible to do what you want most of the time and get away with it. My father. He was someone who loved the concept of optimisation - he knew there was always a best way of doing everything and constantly strove to find it - much to the despair of everyone around him. Doing illustrations for other writers and wanting to not be told what to draw! It's impressively long - especially considering it's not Welsh. New Scientist Weekly. Ok, it's not a book, but it still has words and pages (and lots of interesting albeit largely indecipherable articles about obscure stuff like astrophysics and quantum mechanics). 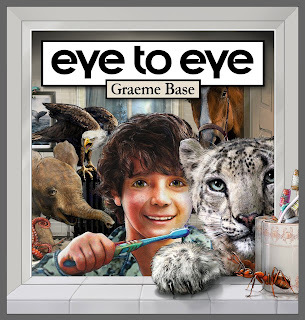 Graeme Base is an internationally acclaimed author and illustrator. His detailed alphabet book Animalia was first published in 1986 and has since sold over 3 million copies. It has inspired an animated TV series, an app, and is the first offering in a detailed digital education program called The Graeme Base Educational Suite. Graeme's latest book is Eye to Eye is published by Penguin Australia. The book is a journey of discovery featuring some of nature's most impressive creatures. 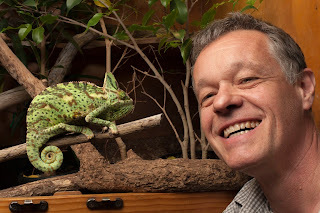 Visit Graeme's website and Facebook page for the latest information about his books and author events.